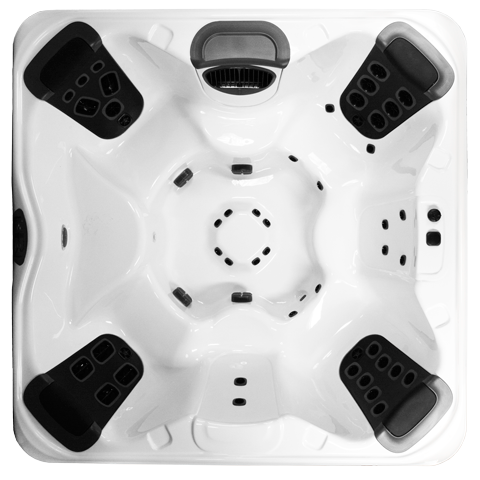 The R8 is a top quality extra-large hot tub with ample room and an open seating design. The R8 is an excellent choice for those needing a little bit more space than normal and for those looking to enjoy their spa with family or friends. The R8 features wrist, hip, and foot jet therapy along with 4 massaging JetPaks of your choice.